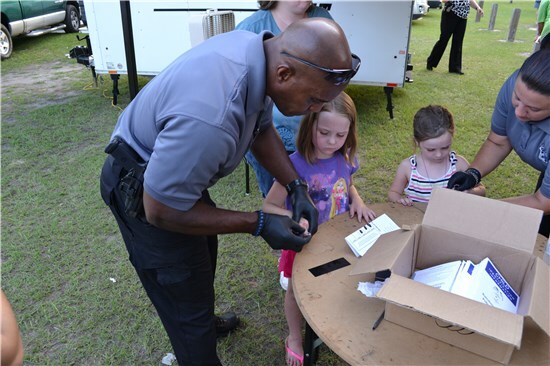 The Batesburg-Leesville Police Department provides a Child ID Program that involves the fingerprinting and photographing of children for identification purposes. These fingerprint cards and photographs are then given to the parent or guardian for safekeeping in the event that this information is ever needed in the future by emergency service providers. Officers of the Police Department provide this service to the Batesburg-Leesville Community at various times and locations throughout the year while participating in special programs and community events. Although it is everyone's hope that these items are never needed, the overall goal of this program is to enhance the safety of the children in our community by helping to prepare families in the event fingerprints or photographs are needed for our children in the event of a future emergency.